Do you need more room? 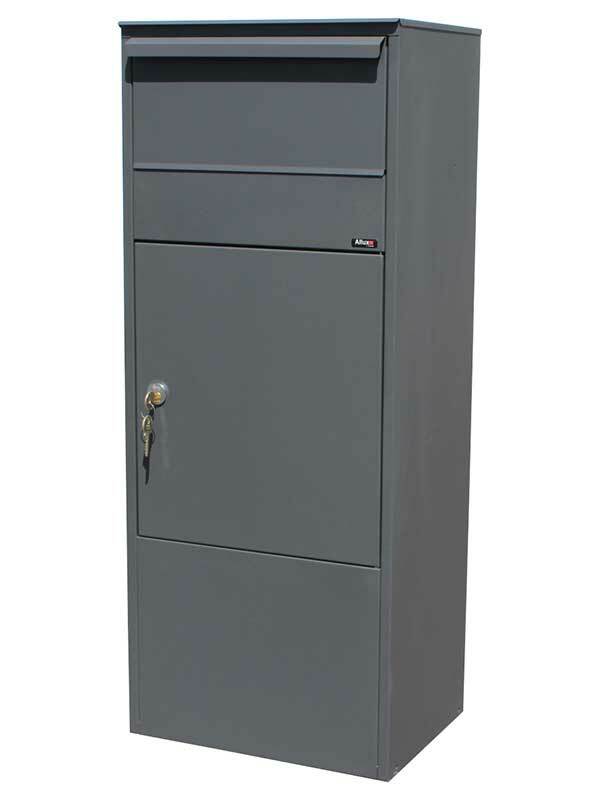 Our parcel mailboxes can easily hold two weeks of mail. Made from strong, galvanized steel and available in gray or black. Letter/parcel flap with soft closing mechanism: elegant and silent. Fitted with a heavy duty cam lock or optional combination lock. Parcel opening: 4-1/2" x 11-7/8" x 13"
Mailbox: 15-3/8" x 37-3/4" x 11"
Optional direct burial mounting base for secure installation.